When it comes to vacationing or even relocating one of the biggest concerns can be the safety of the city in question. In this article we will cover the top ten most dangerous cities and why they are so dangerous. These cities include: Sana’a in Yemen, Karachi in Pakistan and Baghdad in Iraq plus many more. How Does a City Become the Most Dangerous in the World? When it comes to determining the top ten most dangerous cities in the world there are a number of factors to take in to consideration. Certainly the level of crime is one to consider since it could be something that you will experience firsthand living or vacationing in the city. Another important consideration is the current status of affairs between your native country and the country you intent to visit. At any given time as a result of current affairs you may find that travel is ill advised by your government to a specific location due to current relations. Another, more obvious situation to take in to consideration is the state of affairs in the country where the city is located. In countries that are experiencing civil war, terrorist threats or other political uprisings it is generally advised to avoid travel whether you are destined for that location or simply passing through on your way to your destination. Where Are The Top Ten Most Dangerous Cities? The top ten most dangerous cities actually change on a fairly regular basis depending upon the global state of affairs. Each year however there are ten cities that have been listed as the most dangerous cities for that year. The lists vary from place to place, but here is an average of what the top ten most dangerous cities consist of. Many of these areas are not areas that you would particularly consider for vacation spots; however, if you work for a company that is interested in relocating you to any of these areas you should be aware. As the largest city in Pakistan, Karachi has found itself at the center of a number of threats from terrorist groups such as Al-Qaida. Being a target for terrorist organizations, Karachi is often belayed with violent attacks including suicide bombings and kidnappings. Commonly with these attacks there is no distinguishing between who is affected and that means that civilians and tourists are just as likely as governmental officials to be affected. In addition to this type of activity Karachi has been noted for occurrences of kidnappings. Cape Town is known for being a significantly dangerous city as a result of social and economic unrest. Despite being a beautiful city, Cape Town has a high crime rate particularly in respect to violent crimes like kidnapping, murder and robbery. Unlike some other cities with high crime rates, the time of day seems to make little difference as to when criminals are most likely to strike. Just why are criminals so opportunistic in this large city? Security is lax and those living in economic squalor have every opportunity to make their living the easy way. Yemen is an area that has frequently made government warnings as the U.S. department of State advises U.S. citizens to avoid travel to the area. 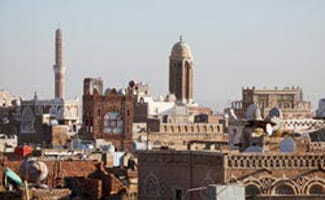 Constant political turmoil puts Sana’a the capital city of Yemen at the top of the list for areas within Yemen that should not be frequented. As protesters and government forces frequently clash many confrontations escalate out of control within minutes. As confrontations over politics continue the U.S. government has not only warned for citizens to avoid travel to the area but they have also advised those currently in Yemen to flee the country immediately while they are still able. Iraq has long been on the do not travel list for Americans. More than a decade after the United States began the war in Iraq, violence still runs rampant. Despite the fact that U.S. troops still remain in the area the level of violence remains as random gunfire, roadside bombs, suicide bombings and other violent attacks take place in Baghdad and surrounding areas. Even in areas that troops have been able to successfully secure questions remain as to whether these areas will remain secure are the departing of troops. All in all the level of violence and the ill feelings harbored towards many foreigners by the Iraqi people make Baghdad one of the most dangerous city in the world. Maceio is the capitol of Alagoas in northeastern Brazil and is covered with gorgeous beaches which makes it a popular destination to visit. However, the crime rate should deter you from choosing this as your vacation spot. Maceio consistently has a high homicide rate and the crime rate is also significantly high. The slums are filled with violent and drug related crime, which is where most of the killing takes place. Government officials push potential tourists to visit and say that residents are killing one another, not visitors. Still, I wouldn’t want to take my chances being in the wrong place at the wrong time. Honduras is a crime filled area and Distrito Central is covered with violence. There are high quantities of poverty, cartel members, drug trafficking, and corruption are just some of the things that are unwanted when relocating or traveling. Gangs are located throughout Distrito Central and some gangs are rumored to have an initiation that requires them to kill someone before being accepted. Caracas is filled with gang violence and drug trade. With the oil boom you’d think the Venezuelan city would be in riches. That is not the case though. The poverty level is so high that people resort to committing crimes. People are constantly robbed at all times of day. Authorities can’t seem to gain jurisdiction of the issue. The gun control is out of reach for police and there are even cases of abuse from the authorities. Caracas has quite the reputation for danger as you can see. Acapulco used to be a favorite vacation spot but has now turned into one of the world’s most dangerous cities. It is notorious for its extreme, gruesome murders and the hideous crime rate. This once, beautiful destination spot is now filled with drug violence, crime, and fearful people. Instead of walking beautiful sandy beaches, you’ll find yourself coming across decapitated bodies. Tourism officials say that majority of the violence that occurs in Acapulco doesn’t take place in tourism spots. However, no one wants to stumble across dismembered bodies on their walk along the beach. Ciudad Juarez, Mexico is another Mexican city that is known for extreme levels of violent crime. Significant drug trade taking place in this border town have turned the area into a murder capital of the world where not even the military or police force are safe. Drug cartels control the city and often make their level of control known by assassinating high ranking security officials. The violence levels in Ciudad Juarez continue to rise despite the fact that the police presence in the area had been increased, but more recently the federal government has announced a reduction of murder rates. The Ciudad Juarez local government officials put this decrease in crime down to the implementation of various social programs but such a decrease still has an average of two homicides per day. The United States government still recommends against travel in this area due to the persistence of gang related violence, extortion and kidnappings. San Pedro Sula continues to be at the top of the list when it comes to dangerous cities. So congratulations San Pedro Sula! You are consistently the murder capital of the world. The murder rate is immensely higher than other cities. The US Peace Corps have attempted to stop crime in San Pedro Sula, but after one member was shot in the leg the Peace Corps withdrew. Honduras is filled with drug trade, large amounts of poverty, and a great deal of corruption. It is obvious that this is a location you’ll want to stray away from. What If I Have To Visit A Dangerous City? Saying that someone should avoid visiting a city on the top ten most dangerous cities list is all well and good but sometimes we do not have a choice. In many instances individuals may have family in one of these areas or they may have to visit one of these cities for a work related assignment. If you find yourself having to visit one of these locations there are a few tips that can help you to lessen your chance of becoming a target. Try requesting that your family visits you or that the work assignment take place in a more secure location. Conduct a lot of research on the area and the customs of the area before visiting. Try to fit in with the locals of the area – do not dress to stand out from the crowd. Make an effort to learn the language or at least enough of the language to get by before your visit. Avoid being showy with flashy jewelry or carrying large amounts of cash and credit cards. Always tell someone where you are headed and what your plans are. Make friends with your hotel concierge or front desk receptionist and make sure to tell one of these trusted individuals your plans for the day. This may seem strange but if something were to happen to you at least someone would know where you were headed and what your plans were. Keep emergency contact information on you at ALL times. Carry a small card with your name, your emergency contact name, your emergency contact number with a country code, the relationship of your emergency contact to you, your blood type, allergies and any current medications or illnesses you have. Never allow yourself to become unaware of your surroundings – this means do not over do it with the alcohol. Only use authorized travel services such as large taxi companies, buses or trains to travel within the city. Always pay heed to travel warnings, if your country advises you against travel to a specific area then do NOT travel to that area. Deciphering the information provided above can be a little overwhelming but when it comes down to it these cities are not safe places to be at the moment. Of course as time progresses the top ten most dangerous cities around the world will change. With that said, however, many of the cities and countries on the list above have been on that list for such a significant period of time that there are no signs of change. The bottom line is that if you are looking for a place to vacation or a location for relocation with your current job then all of the ten cities listed above are not suitable options.